Final Cleanse Detox Level Four 10-Day Program. 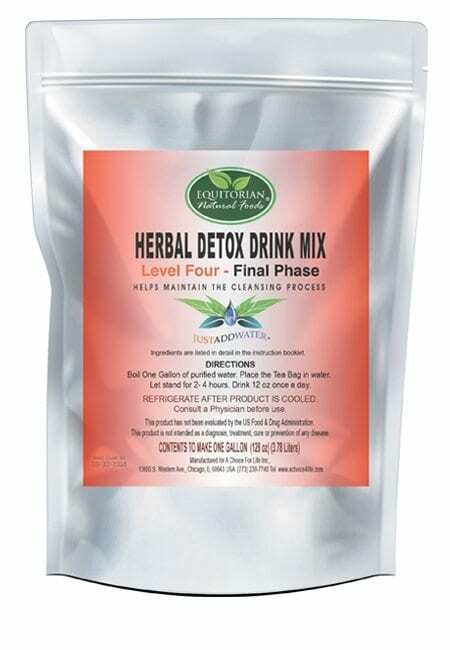 1/ FINAL PHASE HERBAL DETOX DRINK cleanses the SMALL AND LARGE INTESTINE (COLON). Final Cleanse Detox Level Four provides increased energy and better elimination. Results vary by user.